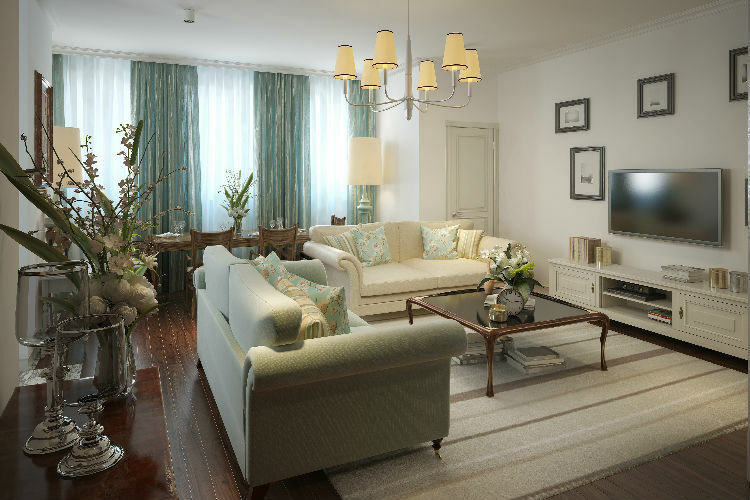 Every living room needs freshening up now and then, but don’t let fears of hard work, hefty price tags or tedious life disruptions weigh you down. A sweet makeover can be achieved without any of the above, so here are just a few ways to add spark and personality with minimal fuss. Unless you’re a clone or an imposter, you probably consider yourself a fairly unique person. It’s time your furniture reflected that! A funky DIY centrepiece is a sure-fire way to put your own personality stamp on your living space and brighten up the room in the process. Think painted mason jars, wildflowers, reclaimed wood or a terrarium, which makes a brilliant point of interest when filled with moss, shells, rocks and even miniature figurines. The opportunities are endless. We always knew that grandmas were secretly the coolest people on the planet, and now it’s been confirmed. Old-school florals and ornate designs (akin to Nanna’s lounge) are trending this season, so keep an eye out for classic designs making a resurgence. A well-placed floral rug or oversized throw pillows will brighten up your space in an instant. If you’ve got more time to spare, use flower stencils or graphic wallpaper on a feature wall for a fun decorative finish. “Everything went smoothly. Marcel was a pleasure to deal with. Excellent attention to detail, prompt pickup and delivery. Superb restoration work, very good quality.” – sbee. Glass is a seriously underrated weapon in the budget makeover arsenal, so make sure you don’t overlook it. Head for your favourite little crafty shops to browse for unique ornaments. Investigate the option of stained glass or leadlight features, or take a plunge into the weird and wonderful world of upcycled items. Explore and see what’s out there! If you’ve never thought too much about the lightingw in your living room, it’s time to give them a bit of attention! From tasteful chandeliers and cluster lights to DIY shell lights, mason jar lights and painted lightbulbs, there’s no shortage of awesome alternatives to your dusty old table lamps. Just remember to call in a specialist (like the folks below) if you’re planning on changing up the wiring. “Liam listened carefully to my requirements and completed this initial work promptly and efficiently, while providing feedback and suggestions for improvements. I took these on board and the final result incorporating bollards, post light and wall lights in the pergola is amazing.” – JanefromSpain. Looking for a bit of professional advice? Head on over to our listings today!